Understanding the hydration needs of your North Texas lawns will ensure success in maintaining a healthy lawn. A properly watered lawn is able to aggressively compete with weeds and other unwanted plants. Proper lawn watering also lowers the risk of lawn diseases. These five lawn watering guide tips will ensure that your North Texas lawn matches up to the regional elements — and for aesthetic purposes. This is a very important step during the hot weather. North Texas lawns should be watered to a depth of 6 inches per irrigation. This will require a yardstick. The easiest way to create a yardstick to calculate how much water is going on your lawn is to place a 6-ounce empty tuna fish can on your lawn. When the can is full, it means you have applied sufficient water. Turn off the water if you start to notice runoff before the can is full then hold off about an hour to let the grass absorb the water. Resume watering the lawn and halt when the tuna can fills up. Determining the frequency of watering is the next step in maintaining your North Texas lawn. Most grass types require only an inch of water in a week. That water can be supplied as 1 inch just once during the week or as half an inch twice during the week, depending on local watering restrictions. Remember that Zoysia and Bermuda grasses require only half as much water as St. Augustine grass. 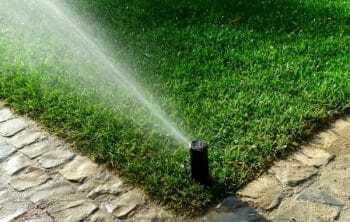 Planning your irrigation and carefully spacing it out will ensure a more drought-tolerant lawn. Your grass will be better able to withstand the stress of water rationing. 3. Don’t Be Tempted To Drown Your Lawn. Applying water too fast to your lawn causes runoff, as North Texas can absorb only so much water at a time. When runoff occurs, soil, pesticides and fertilizers can end up in nearby waterways. On the other hand, over-irrigation can as well push nutrients deep into the soil away from plant roots where they’re most needed and most easily accessible.  It is recommended to water your North Texas lawn early in the morning before 10 a.m. Watering from midmorning to late afternoon will cause one-third of your water to evaporate off and useless to your lawn. You should also avoid watering your lawns in the evening, as leaving lawns wet overnight make them more susceptible to diseases. Lawns have their stress point. It is essential to monitor your lawn for signs of stress, such as wilting and discoloration. When you first spot wilting, you have got 24 to 48 hours to act before your lawn is seriously damaged. Stress point in St. Augustine grass is noted when the leaves “fold” and in Bermuda and Zoysia grasses as when a footprint does not “bounce” back. This is the point at which you should re-water your lawns. Overall, the strategy to watering lawns is to apply water infrequently, yet thoroughly. This is the way to make a deep, well-rooted lawn that effectively utilizes the water that is stored in the soil. I recently moved to Perryton (Northern Texas) and I have been having such a hard time getting my lawn to grow and flourish all summer. This is exactly the kind of information I was looking for. I feel like a lot of places are only interested in selling you their lawn care products rather than just giving you expert advice. Thanks so much for this! I will start putting my lawn on a watering schedule.